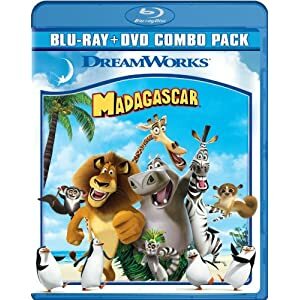 The Madagascar DVD/Blu-Ray combo pack is just $12.99 on Amazon right now. That's 57% off the list price of $30! You'll also receive a free $5 credit for Amazon's Video-on-Demand selection, which means free movie rentals sent right to your computer or home theater! what a fabulous deal! Thanks for sharing – will make a wonderful (and cheap) gift for my friend’s son!